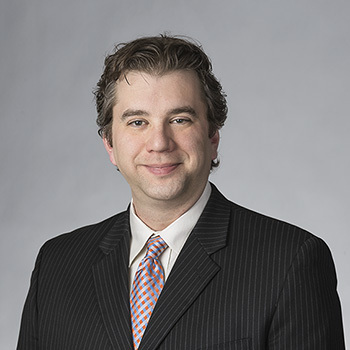 Kevin joined Auerbach Pollock Friedlander in 2003 for a ten-year period and returned in 2017 to continue his consulting career. In the interim, he worked as a project manager for a theatrical equipment manufacturer where he oversaw numerous projects, including the George S. and Dolores Dore Eccles Theater, Rogers Place Arena, and The City University of New York, New York City College of Technology, Academic Building. His background in theatrical production and a thorough knowledge of structural design for the theatre inform his work as a project manager and the design and implementation of automated rigging, machinery and scenery handling systems. Prior to joining Auerbach Pollock Friedlander, Kevin was the Master Carpenter/Assistant Technical Director at Meadow Brook Theatre in Michigan. His live theatre experience has given him a deep understanding of the requirements of a functional theatre. While enrolled at Carnegie Mellon University, Kevin worked as both an assistant technical director and a technical director on many of the theatrical productions presented by the school of drama.